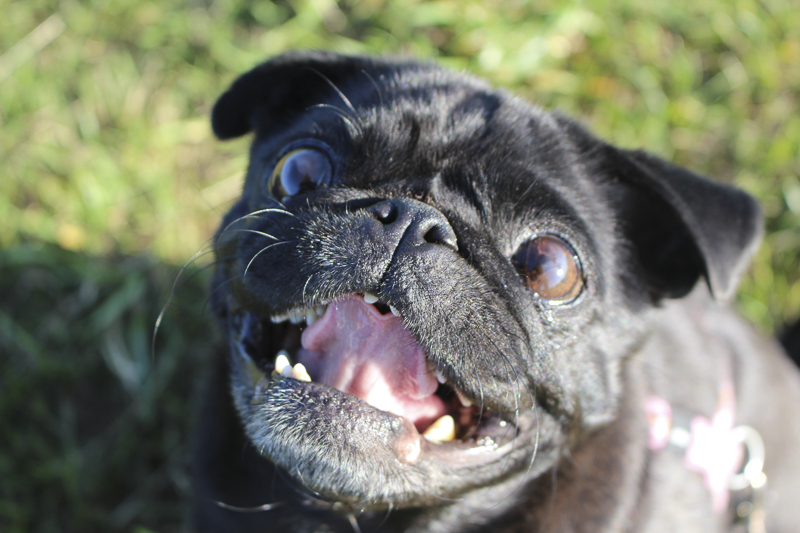 It is that time again where I get to share with you another pug, or in this case two, in the latest Social Pug Profile. This week I am excited to share with you the adorable Charly & Lola from England. These two have a wonderful character and I love seeing their photos in my Instagram feed. So now I can introduce them to you… meet Charly & Lola. Lola: I’m 6.5 years old! Charly: And I am 3! Lola: My birthday is 10th December! Charlie: And mine is 30th May! Lola: We live in the West Country in England. What is your favourite time of the day? Lola: My favourite time of the day is meal times! Basically anything to do with food, I’m right there. 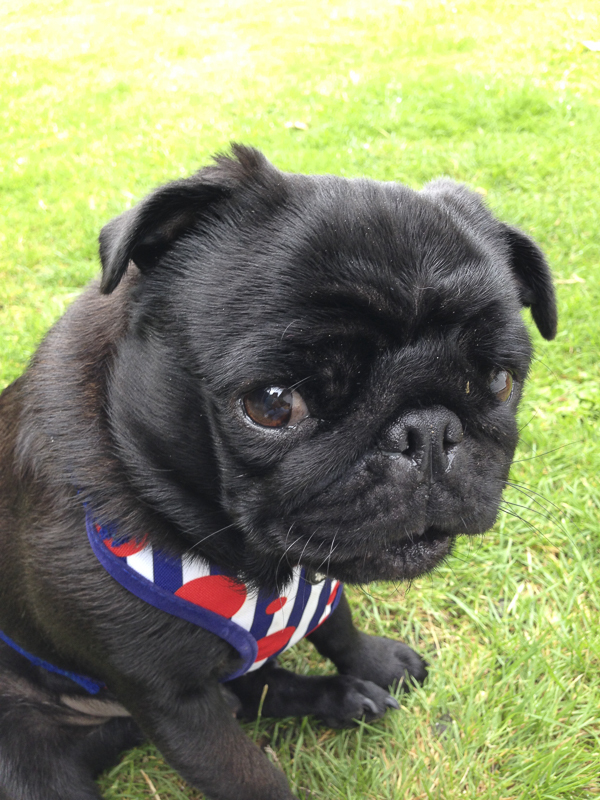 Charly: My favourite time is also meal times & Lola & I both love going out in the car any time of the day. Lola: I love ANY food! I will look at the humans with my big eyes & hope that I’ll get something. Charly: I will do the same as Lola but I tend to dribble over food! We love baking our own biscuits & would love to have got our paws in the mixture, but for some reason we wasn’t allowed to. Do you have a toy that you can’t live without? Lola: I don’t really do toys, so I don’t have a favourite. But I’ll play with one now & again when it takes my fancy. Charly: I love my precious penguin, if anyone comes to visit I have to bring them penguin, but I won’t give it to them. Sometimes penguin goes missing & ends up in the washing machine. Lola: We both hate anything wet! We both give puddles a wide berth, not easy if we go in different directions when we are walking on the lead. Once Charly forgot what he was doing & ended up in the middle of an estuary, it was a very hot day & I secretly think he was cooling off. Lola: I loves my mummy & I am definitely a mummy’s girl. I’ll always sit very close just to make sure I am not left or going to miss anything. But food is the main thing here really. I love food, Yum! Charly: My love is food, penguin & mummy. But I must say, we both love going to work with mum when we can. But we don’t help mu get the work done quicker. Lola: My bad habit is sneezing in the humans face or sneeze spraying anything that gets in the way, usually in the confinement of the car cause I like to give the upholstery a new perspective. Charly: My bad habit is barking at people, children & dogs while on a walk but I am very happy when they say hello! 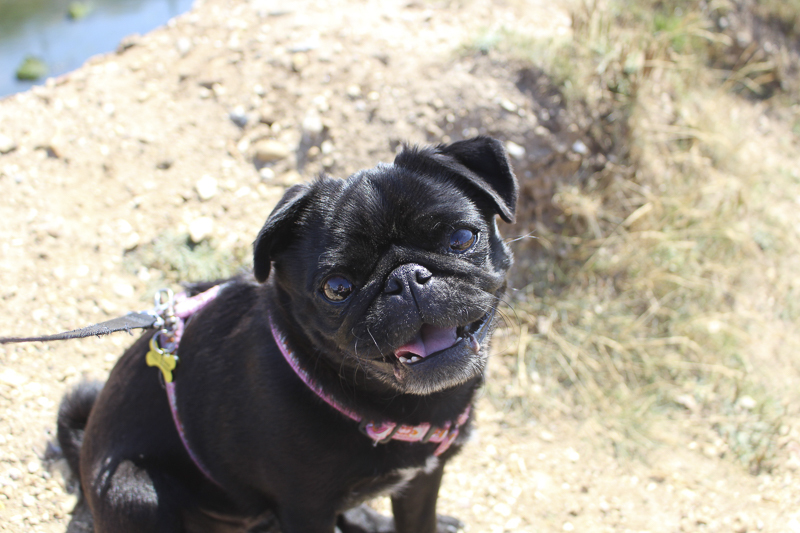 Lola: My best quality is my loving temperament, I am very patient & mum says I am such a sweetheart. Charly: My best quality I think is my whole self! I always seem to light the room up & when I am around there is never a dull moment for the humans. I have the ability to make the humans laugh out loud! Mum says I’m such a clown. Lola: A typical day for us both is up at 6am to have the most important meal of the day, yippee! I go for a walk & Charly goes back to bed as its so tiring eating breakfast. If it’s nice we’ll bask in the sun or find some sun spots to lay in. We’ll have a few biscuits mid day. We’ll go to work with mum & check out any empty dog bowls & give them a lick just to make sure they’re clean. We by pass anything to check the empty bowls before saying hello to anyone in our way. Then we’ll go for a walk & a zoom about, have our supper & sleep until it’s bedtime & of course that means bedtime biscuits. Charly: I basically eat & sleep but really I do everything that Lola said. What do you love most about having a sibling? Lola & Charly: The thing we like the most about having each our is were never alone, we follow each other around, just to make sure neither of us is missing anything. We watch each other’s backs too. We love each other very much. What do you love most about living in England? 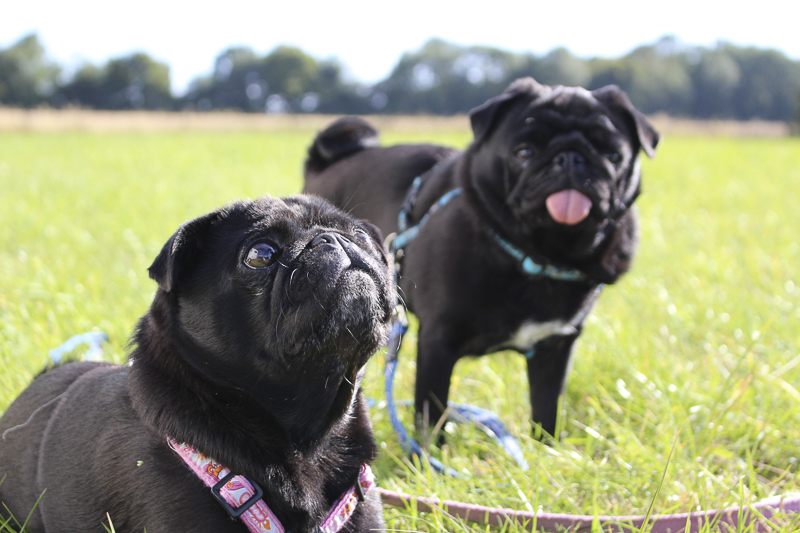 Lola & Charly: The thing we like most about living in England is, we live in the country so we have loads of fields to play in, woods to explore & we’re not far really from the coast, even though we don’t like water, we love a walk along the beach. It’s amazing the things you can find. We found a crab claw once & wondered where the rest of him was! Also the climate isn’t too overwhelming, just the right temperature for us pugs. But not this summer as it’s not been good! 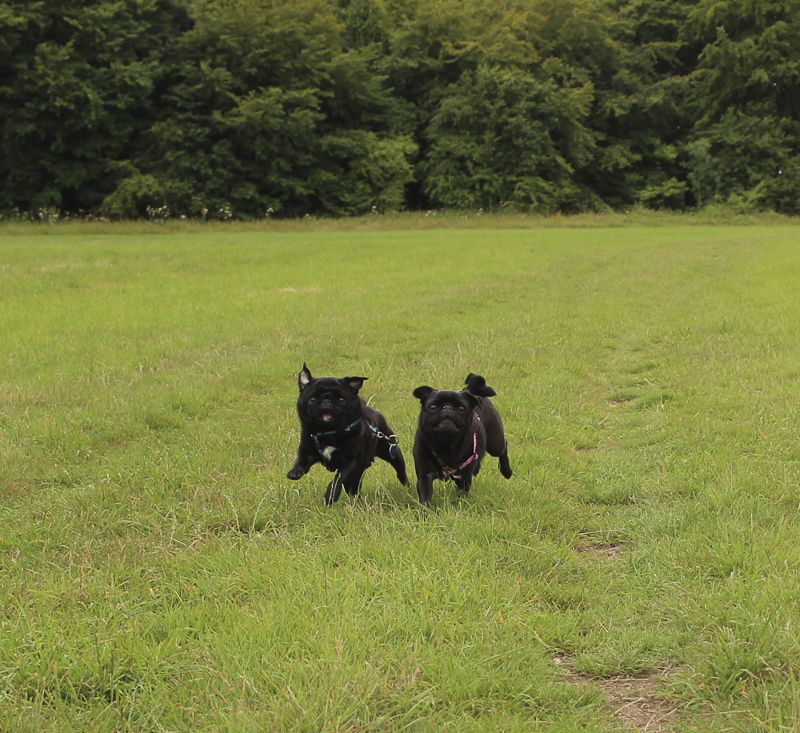 Lola & Charly: You can follow our adventures on Instagram @charly_lola_pugs! Be sure to leave a pug love note for Charly & Lola in the comments. I am positive they will love to read them. 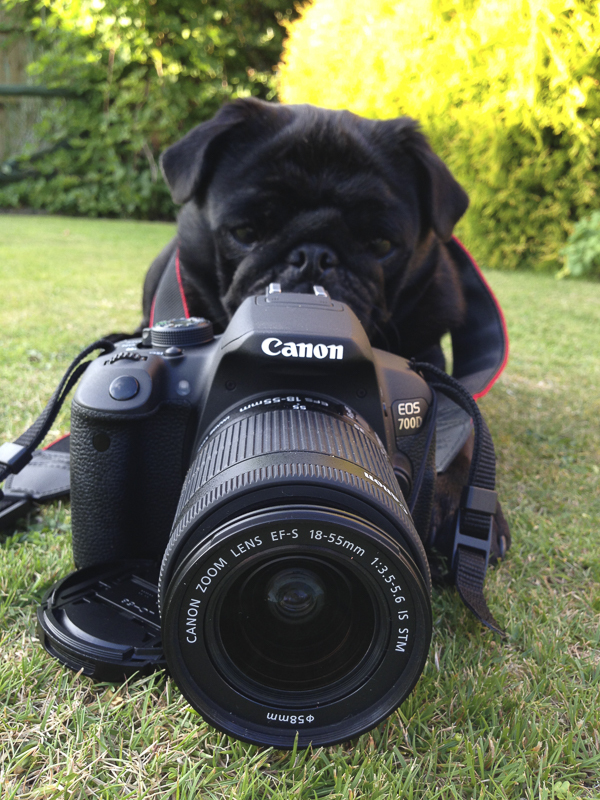 awwwwwww Lola and Charly you are so adorable and very bootiful and handsome.Pug hugs from Australia. We love reading and learning more about you Charly and Lola! Hi and congrats from Daisy and Da Smoosh! @threepugbugs ??? Thank you Da Smooch & Daisy? We hope to read about you guys to one day ?❤️?